The full-size 2014 Cadillac Escalade SUV is a comfortable, strong and stylish car that comes with a powerful V8 engine and with a cabin that’s constructed with high-quality materials. 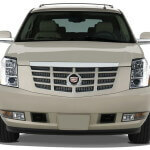 The Escalade’s seats are spacious and comfortable and it has more cargo space than many rivals. This luxury SUV competes with Lincoln Navigator, Lexus LX570, Infiniti QX56 and Mercedes-Benz GL-Class. The 2014 Cadillac Escalade is available in four trim levels (base, Luxury, Premium and Platinum) and comes standard with seating for seven. A second-row bench that bumps capacity to eight passengers is available for the Platinum model. The Escalade Hybrid and the extended-length Escalade ESV are considered distinct models. The 2014 Cadillac Escalade base comes standard with 18-inch alloy wheels, automatic xenon headlights, foglights, an adaptive suspension, a locking rear differential, heated power-folding mirrors, rear parking sensors, power liftgate and towing hardware. The standard equipment also contains tri-zone automatic climate control, heated and ventilated power front seats, leather upholstery, a power tilt-only steering wheel, an auto-dimming rearview mirror, remote ignition and power-adjustable pedals. A rearview camera, a touchscreen navigation system, Bluetooth connectivity and a 10-speaker Bose surround-sound audio system are all standard too. 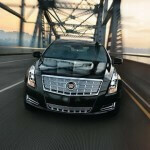 The all-new 2013 Cadillac ATS is based on the brand-new Alpha platform and it is Cadillac’s first true compact sedan in 32 years. 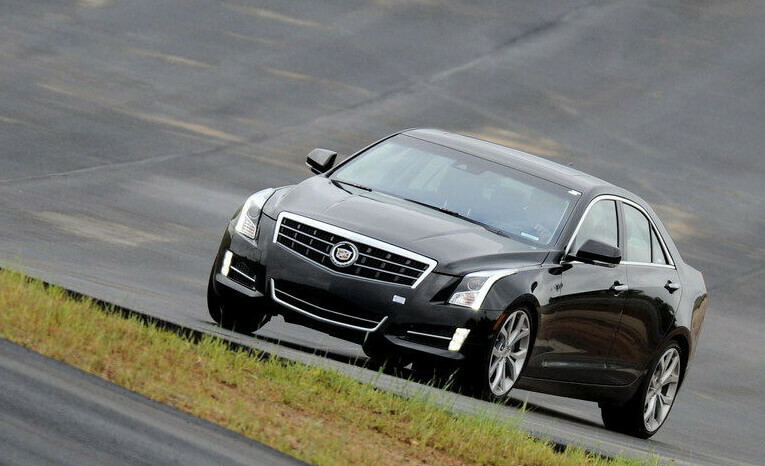 The new 2013 Cadillac ATS is expected to be a true competitor for BMW 3-Series, Audi A4, Mercedes-Benz C-Class and Infiniti G sedan. With clean and familiar exterior styling, a nice interior, an advanced infotainment system and three powerful engine available, the new 2013 ATS has all the ingredients to sell well to fans of this class of compact sedans. The all-new 2013 Cadillac ATS is a luxury-oriented sport five-passenger sedan that is iffered in four trim levels: base Standard (MSRP from $33,095), Luxury (starting at $37,590), Performance (from $41,895) and Premium (MSRP at $44,895). The 2013 Cadillac ATS base comes standard with 17-inch alloy wheels, automatic headlights, heated mirrors, dual-zone automatic climate control, a tilt-and-telescoping steering wheel, cruise control, six-way power front seats, Bluetooth phone connectivity and a Bose sound system with an iPod/USB interface and an auxiliary audio jack. The Luxury trim adds keyless ignition, keyless entry, remote engine start, front and rear park assist, a rearview camera, eight-way power front seats, driver memory function, HD radio and CUE (Cadillac User Experience) infotainment interface.